Sign up to receive special offers, product news and more! Our products are made from only the purest plants in nature. It excites us to produce products that help people enjoy a healthy lifestyle. Everything is produced with care in Salt Lake City, UT, USA. Caralluma fimbriata is a succulent plant in the cactus family that has been used as a natural appetite suppressant in India for centuries. It has become increasingly popular for its appetite suppressant and weight loss properties. It is also believed to block the activity of several enzymes that create fat, increasing the amount of fat reserves burned. Checkout this independent educational video from Natural Health Sherpa to learn more. Your hypothalamus sends your brain a message that you need to eat. Caralluma Fimbriata intersects hypothalamus message. Excess of energy molecule Adensosine tri-phosphate (ATP) is stored as fat. Caralluma Fimbriata blocks the enzymes that convert ATP into fat. Makes you have more energy and less fat. Salt Lake Supplements Caralluma Fimbriata is manufactured in a GMP facility in Salt Lake City, Utah in the United States of America under strict guidelines to have only PURE caralluma fimbriata inside each and every capsule. 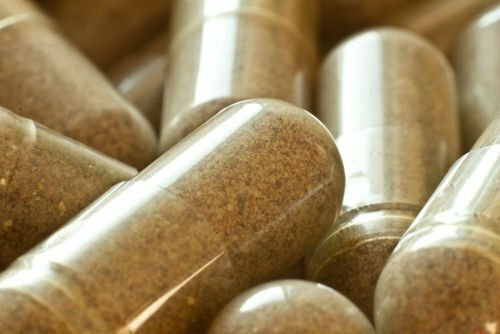 Not only is the extract itself 100% all-natural, but the capsule that contains the extract is made from vegetable cellulose which makes the entire pill all natural and vegan/vegetarian conscious. Salt Lake Supplements backs their products with a 30-day money-back guarantee. If the product doesn't work, or you just don't like it. We will give you a full refund. No hassle. No gimmicks. We love any feedback as you go through your weight loss journey, and would love to have feedback before the 30 days are up. No side effects and proven weight loss results. 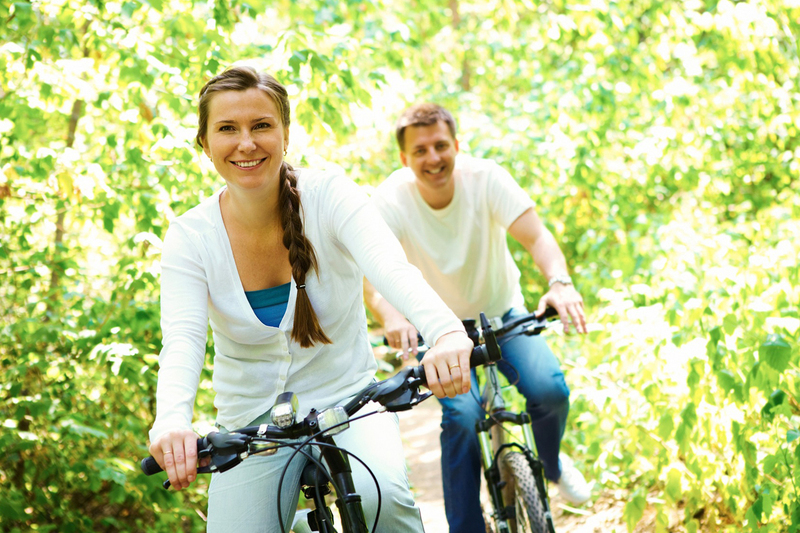 While Salt Lake Supplements believes that everyone should have an active and healthy lifestyle, we know that it is not always possible. Caralluma fimbriata is an all-natural way to start to manage your weight (or maintain your weight) while seeking healthier lifestyle options. It is the perfect kick start to any other health program available.  Salt Lake Supplements is not just a brand name, it is a way of life. The clean mountain air, the fresh spring waters, and the active lifestyle that our creators envisioned are all essential parts of the company philosophy. 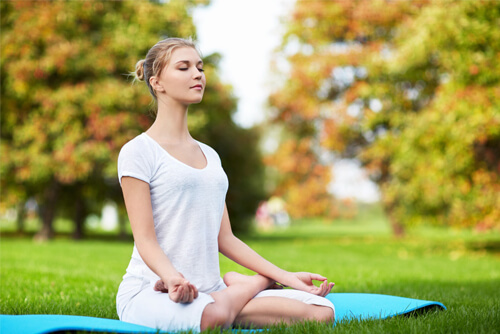 Being healthy is a simple concept, but in our modern world it is not an easy task to accomplish. A lot of people sit at their desks all day, go home, watch TV, eat dinner, and go to sleep (not necessarily in that order). Sound familiar? The creators of Salt Lake Supplements decided there had to be a better way to stay healthy, and the company was started out of the idea that there needs to be something to keep us on track.  Salt Lake Supplements brand supplements are all-natural products from the most pure plants in nature. Plants that give people energy, vigor, confidence and make living healthy a little easier. There is no guarantee that being healthier leads to a loss in weight, and Salt Lake Supplements makes no claims that the products will definitely make you lose weight by some "divine force." 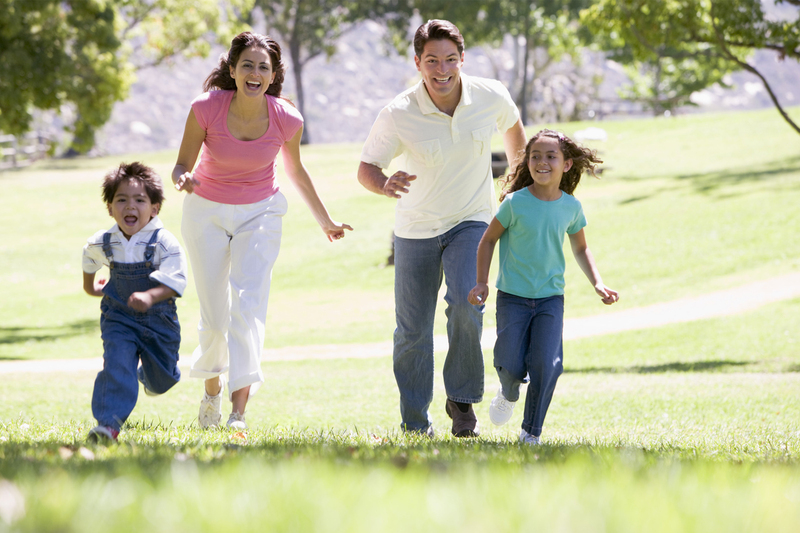 Rather, it is through a steady transformation over time that a healthy lifestyle is achieved. 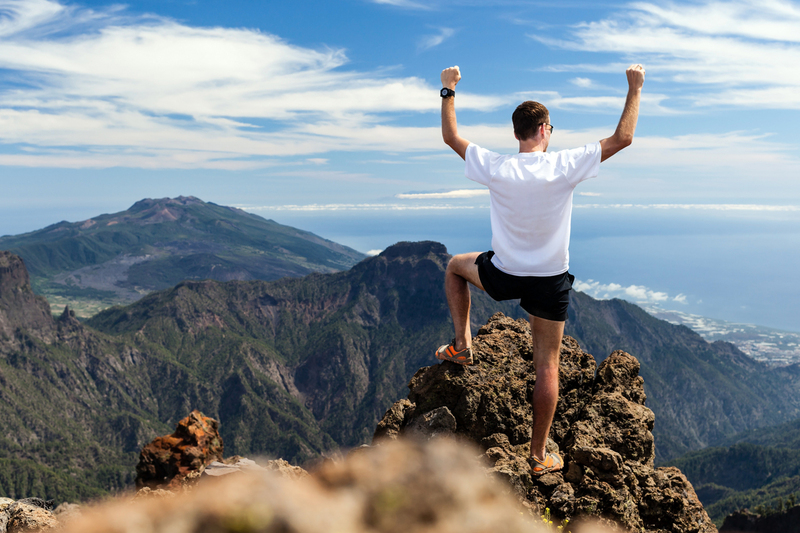 Just like mountains took time to forge in their place, the body is but a vessel for what it takes in and takes on. Salt Lake Supplements - Create. Yourself. "There are four things that help me accomplish my daily health goals: green juice in the morning, a jog in the afternoon, a bit of prayer and a few caralluma capsules. Now that I've made it routine, being healthy is a walk in the park!" "As a personal trainer, I always recommend Caralluma to those that struggle with appetite control. It really takes the edge off of cravings, which partners well with an exercise routine. SLS is a local, american company that I trust, and my clients have all loved it so far!" "I don't know if it works because I believe or if I believe because it works... but it works! I feel so blessed to have finally achieved my health goals." "I see delicious food all day long. This stuff really helps me control myself from devouring it all! Thank you!" 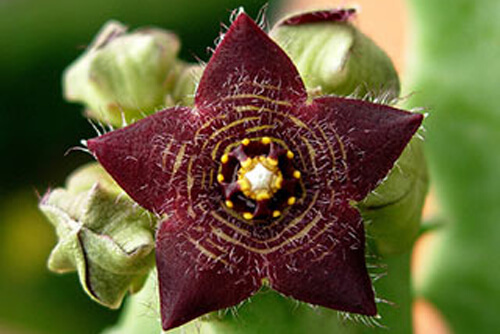 How do I use Caralluma Fimbriata? As a dietary supplement, take one (1) veggie capsule twice (2 times) a day. For best results take 20-30 minutes before a meal with an 8 oz. glass of water or as directed by our physician. Every person is different, but studies have shown that within 60 days, trials confirmed weight loss and inches off of the test subjects' waistline. What is in each capsule? The only thing that each capsule contains is 100% pure caralluma fimbriata extract. Does this product contain any fillers, binders or artificial ingredients? No. 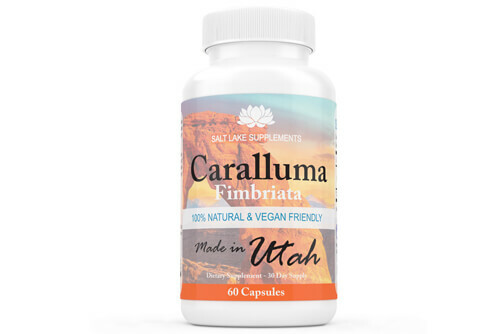 Salt Lake Supplements' Caralluma Fimbriata is 100% pure. Studies indicate that there are no known side effects attributed to taking the caralluma fimbriata extract. Can I use Caralluma Fimbriata when pregnant or nursing? No. It is not recommended to use any weight loss supplements or appetite suppressants while nursing or pregnant.